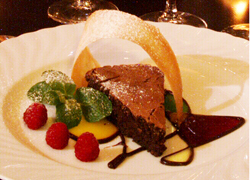 "Park Avenue Catering is a community of people: chefs, servers, clients, and artisan producers. By buying fresh local products from small farms and purveyors, we produce food that is artisan-based." Simply put, it is our consistent high level of service, dependability and a commitment to uncompromising quality. 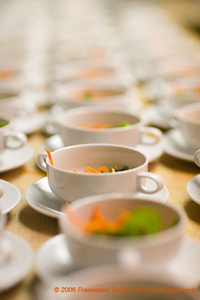 When you hire Park Avenue Catering, you hire a team of experienced, caring professionals dedicated to the success of your event. "Make it from scratch." We choose the highest quality ingredients, - local, natural, sustainable and organic whenever possible, then leave it to our talented chefs to prepare and present exceptional food and to our in-house pastry chef to create unique and delicious desserts. We are dedicated to providing an outstanding product and experience for our clients, at a fair and just price. We support local vendors, are committed to protecting the environment, supporting sustainable, healthy alternatives and giving back to the community. We encourage you to consider an “all-green” menu for your next event. Our employees are seasoned veterans not only in the industry, but with us! We grow as a company so that our best employees can grow as well. Each member of our sales staff has extensive knowledge of event planning and menu design. Our servers and bartenders are hired and trained by our own in-house staffing department. You will see friendly, familiar faces, and a crew that will go to great lengths to ensure a perfect party. A special on-call team is ready to provide assistance for any last minute needs to make sure everything is right. We are the trendsetters: innovative, creative and contemporary.